Weather permitting, the annual SWSC Snowball Series will be taking place from Sunday 6th January to 24th February (8 weeks). The race series kicks-off at 1.00 pm each week with 2 races back-to-back. There’s a £3 entry fee and the sessions are open to visitors. Weather permitting, the traditional Scammonden Freezer will take place on Sunday 30th December @ 11.00. The format is one race of two hours and is open to visitors. £3 to enter with free soup and roll afterwards. Let’s hope the sun shines and the wind blows!! 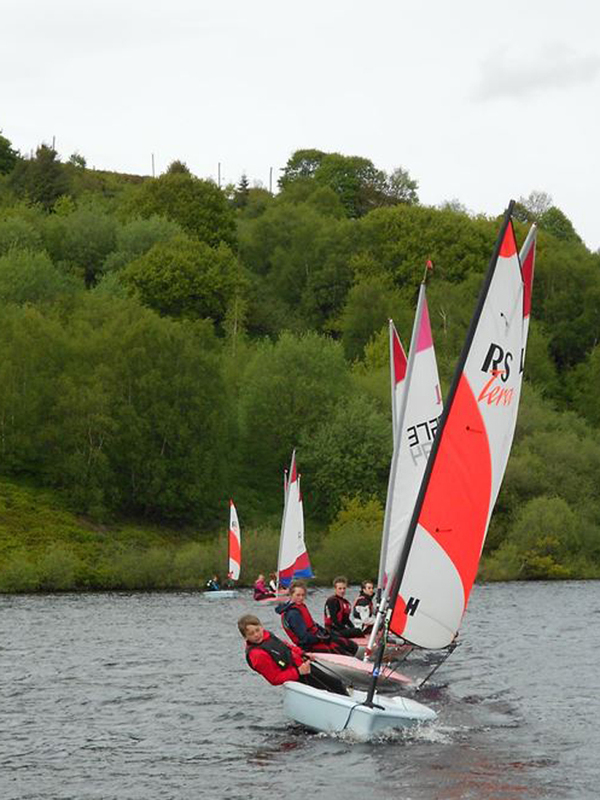 If you are looking for opportunities for young people and families to get into sailing, Scammonden Water Sailing Club is just the place. As part of the club’s RYA OnBoard status the ever-popular Saturday Club will once again be running on Saturday afternoons from 7th April to mid-October in 2018. It’s a fun way to get involved in sailing, so follow the link to see how you can get involved. We’re thrilled that SWSC has received Royal Yachting Association Champion Club status. The scheme, which means Scammonden has a “Centre of Excellence” status for junior race training and racing, validates what our Saturday Club is doing in encouraging new people to sailing and developing young sailors. For many years the emphasis for our Training Centre has been to introduce new people to sailing and racing and develop their skills as competitive racers. We’re delighted the RYA supports what we are doing in awarding us with Champion Club status. SWSC would like to thank all volunteers who contribute to the success of the Saturday Club and thank our new and young sailors who are doing brilliantly on the water.